We might never stop talking about the Oscar gaffe heard ’round the world on Sunday night; it’s definitely the biggest mistake in Academy Awards history, but it’s not the only one. In 1934, when host Will Rogers called “C’mon, get it, Frank!” for Best Director, Frank Capra started for the stage, thinking he was the winner, but the award went to Frank Lloyd. But in 89 years, only one other person has been given the wrong envelope at an Oscar ceremony: Sammy Davis Jr. in 1964. As WGN pointed out when it posted the vintage footage, Davis was presenting two similar awards: scoring of music (adaptation or treatment) and music score (substantially original). He read the scoring of music nominees off the teleprompter, then was handed an envelope, and read the name in it out loud. He then realized immediately that the name he read wasn’t included in the list of nominees, and commented, “They gave me the wrong envelope. Wait till the NAACP hears about this.” He then received the correct envelope, put his glasses on, and cracked, “I ain’t going to make no mistake this time, baby,” before announcing the name of the correct winner, his nonchalance glossing over what could have been a much more embarrassing moment. It can’t be easy to correct a flub on live TV in front of millions of people, throwing in a few inspired ad libs along the way. 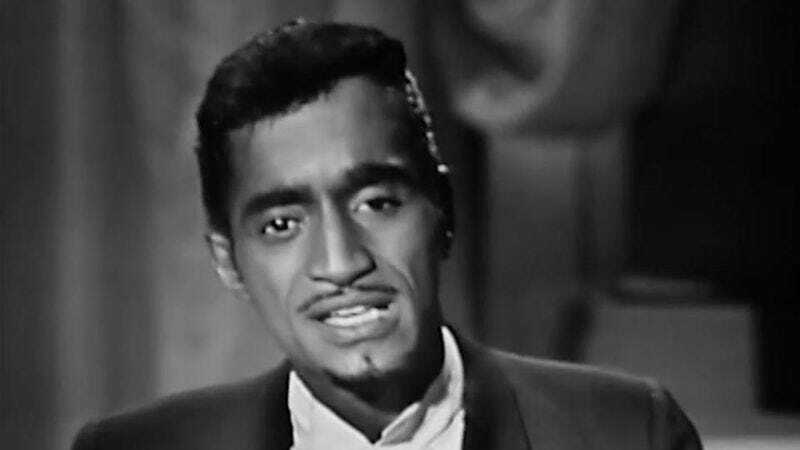 Consummate performer Sammy Davis Jr., however, showed that it could be done.